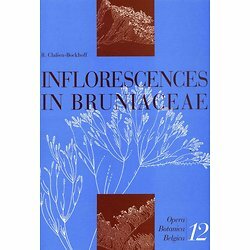 The present book not only increases our knowledge of the small South African family Bruniaceae (12 genera/ 75 species) but also deals with the simple but delicate question of how to delimitate inflorescences in woody plants. 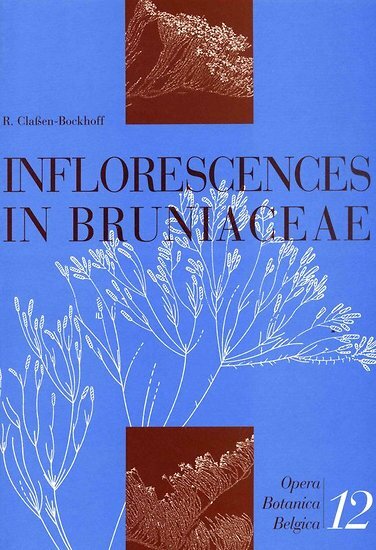 More than 80% of the species of Bruniaceae are illustrated in detail by schematic side-views and photos (chapter 3). Referred to them the ‘brunioid' reference framework is introduced (chapter 4). It differs from all concurrent concepts in strictly distinguishing caducous ‘inflorescences' from persistent ‘flowering shoot systems'. The study concludes with a summary of new insights into the intergeneric relationships of the Bruniaceae (chapter 5). The present book includes a critical debate of the most important morphological concepts applied to inflorescences in woody plants (section 4.2). For that reason it is not only addressed to morphologists and Bruniaceae specialists, but might be of general interest to all dealing with inflorescences as to systematic, morphological, ecological, genetic and evolutionary aspects. Regine Classen-Bockhoff is a plant morphologist from the Johannes Gutenberg-University in Mainz (Germany). Since more than twenty years she is interested in form, function and evolution of inflorescences. Proceeding form the structural diversity of flower-like inflorescences she was engaged in individual families (e.g. Rubiaceae, Asteraceae) and theoretical questions being about ontogenetic and phylogenetic pathways of pattern repetition. Current projects deal with the diversity and evolution in the genus Salvia (Lamiaceae) and with interactions between architecture and sexual reproduction in Apiaceae.